Reporting on a US night raid gone wrong in an Afghan village, journalist Jeremy Scahill discovers a cover-up by an elite military unit. 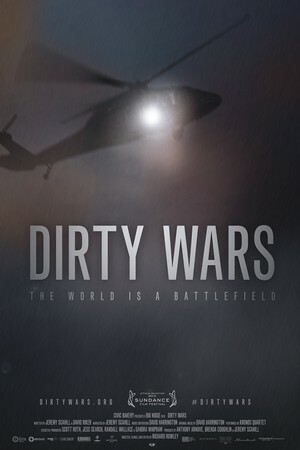 What follows is an international investigation into America’s expanding covert wars. Scahill’s investigation leads him to unravel the secret manoeuvres of the shadowy and powerful Joint Special Operations Command (JSOC) as he is drawn into a world of covert operations unknown to the public and carried out across the globe by men who do not exist on paper and may never appear before Congress. In military jargon, JSOC teams “find, fix, and finish” their targets, who are selected through a secret process. No target is off limits for Obama’s “kill list,” including US citizens. From Afghanistan to Yemen and Somalia,Scahill meets with Special Forces operators, military generals and US-backed warlords who go on camera and on the record—some for the first time. He tracks down the survivors of targeted assassinations and drone strikes, including the family of the first American citizen being hunted by his own government. We need this debate here in the UK, the closest collaborator with US policy. The UK’s actions include the sharing of intelligence that directly facilitates the US’ drone assassination policy. In July 2013 The Guardian reported on UK collusion with the Obama kill list, including the practice of stripping dual citizens of their British citizenship apparently in preparation for targeting for assassination. Reprieve is currently seeking a full judicial review of the lawfulness of any British assistance for the US drone programme. In August 2013, it threatened legal action to the export of British-manufactured parts for American drones used in clandestine CIA strikes. In the UK, it is widely believed that the use of drones and targeted assassinations is that they make the world safer by enabling “targeted killing” of terrorists, precise and effective without collateral damage and instead of ”boots on the ground.” Dirty Wars shows why this narrative is misleading.